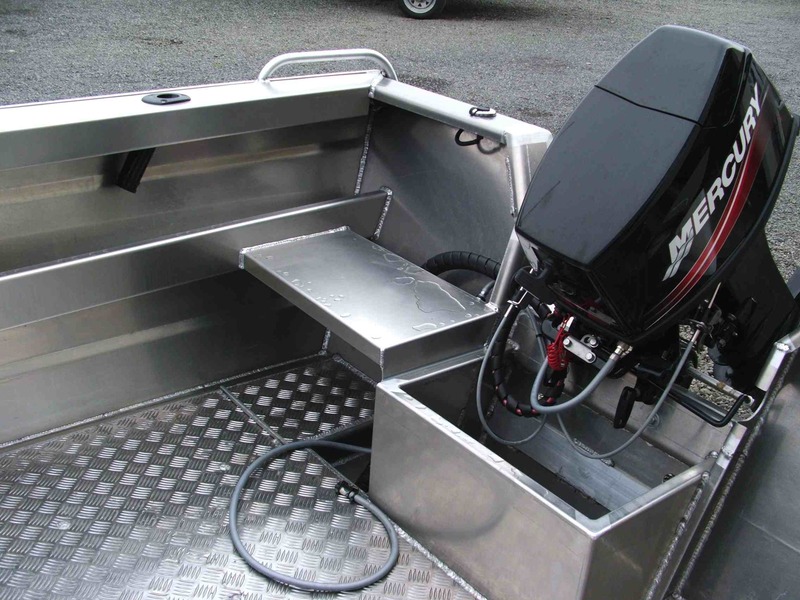 Marco 440 Centre Console | Peninsula Marine Ltd. 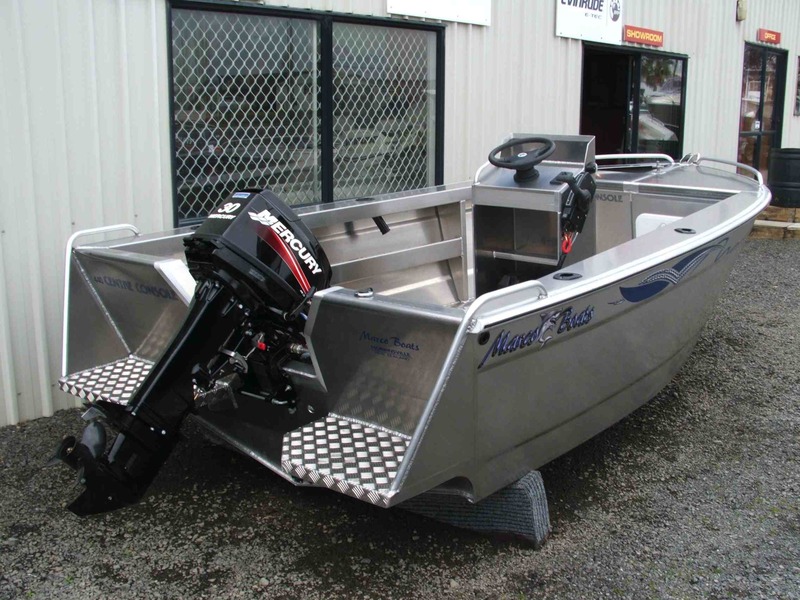 This is the biggest volume boat for its size. 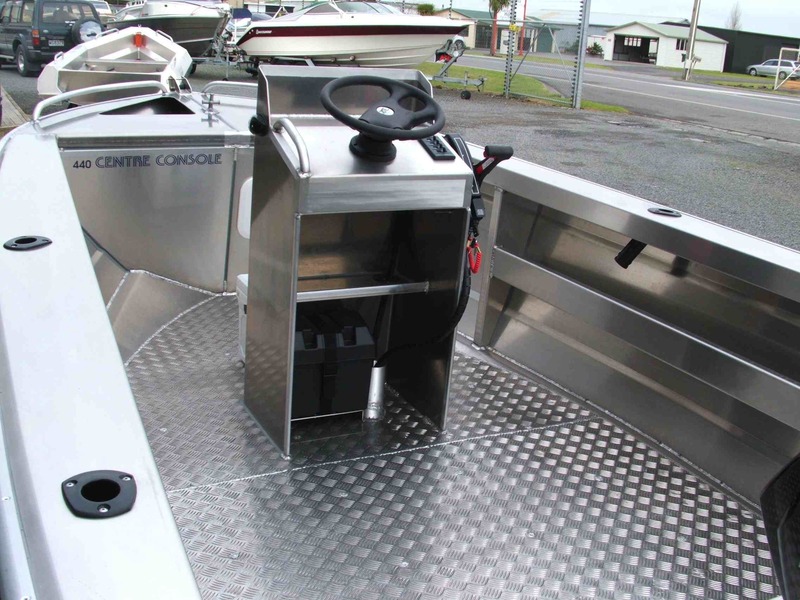 LOA 4400mm ,beam 2150mm, hull 4mm, INTERNAL measurements, sides-700mm, beam 1750mm. 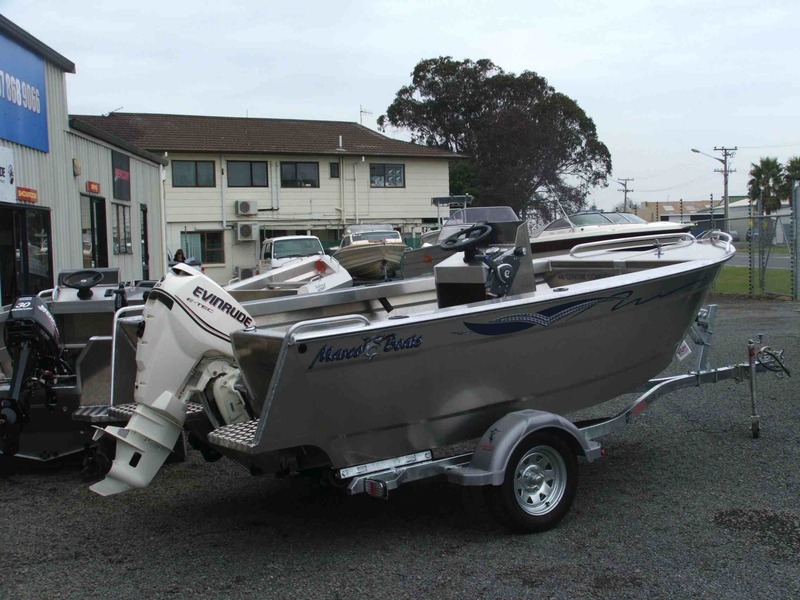 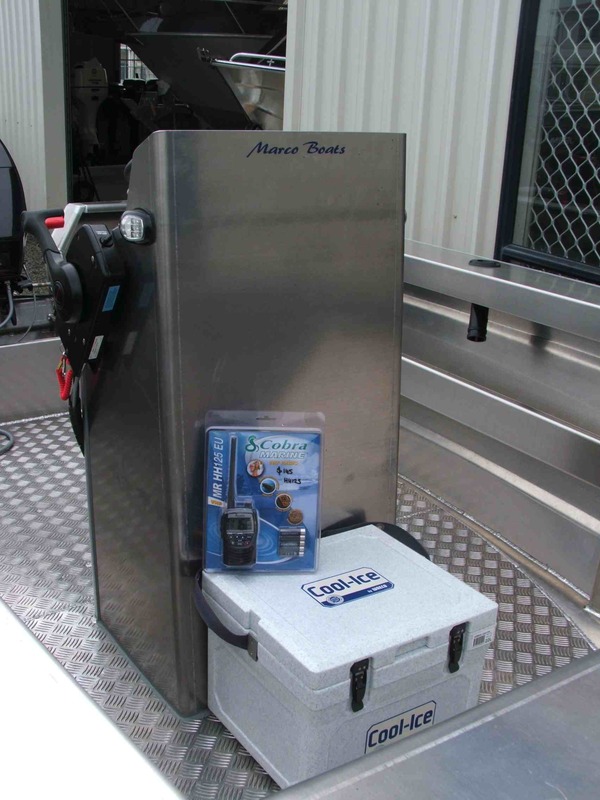 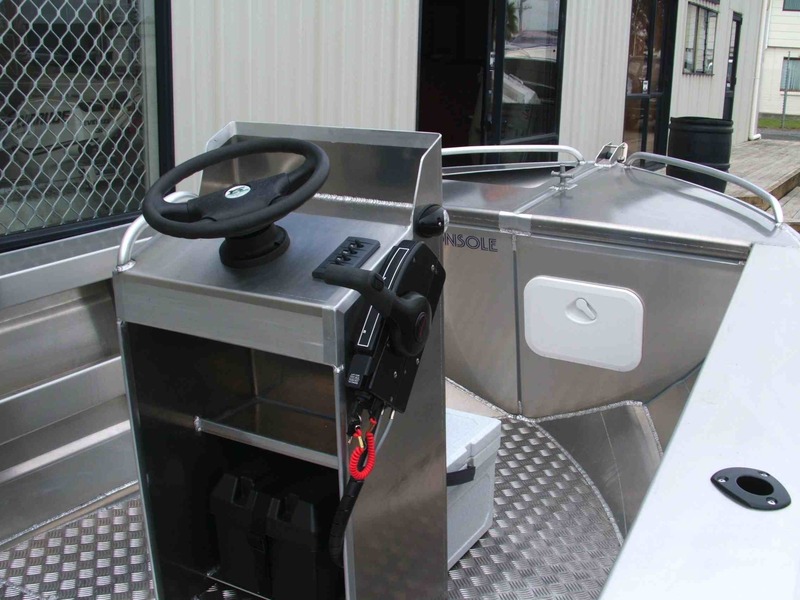 Standard boat includes console with steering, nav lights, switch panel, bilge pump, live bait tank, side pockets, dry storage, anchor locker, Voyager trailer.